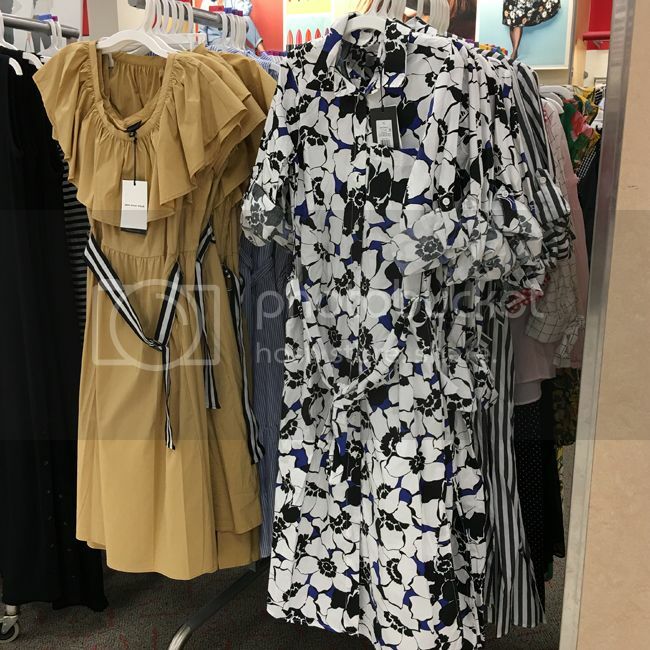 Browsing the Who What Wear collection at Target is one of the things I look forward to on each Target run. I know that I can count on the brand for chic takes on seasonal trends, quality fabrics, and even pieces that are outside of my comfort zone. The Who What Wear collections seem to get better each season. 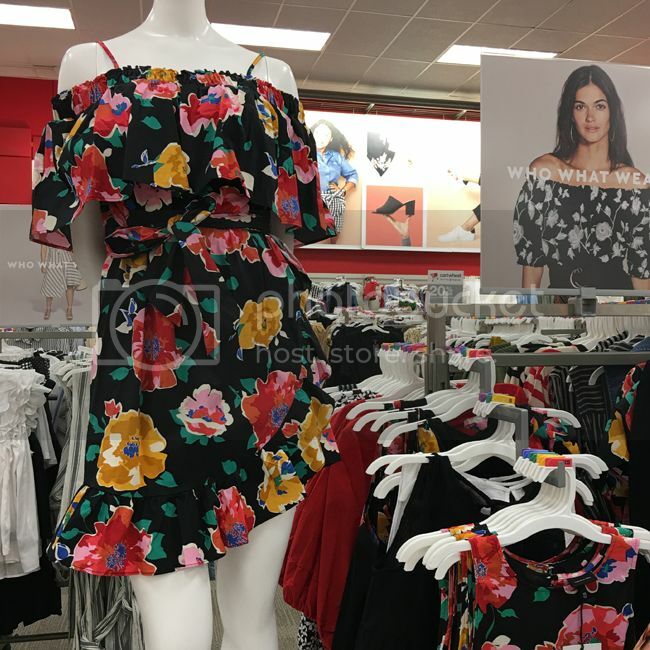 Every trend is represented for summer 2018 right here: ruffles, off-the-shoulder, saturated florals, tropical prints, neutral hues, embellished mules, stripes, paper bag waists, bold brights, you name it. There's something for everyone. If you follow me on Instagram (@thekeytochic), you may see my favorite finds popping up in my stories. There are so many must-haves in this collection that I thought they deserved their own blog feature so I'm sharing some of the new summer 2018 items that have caught my eye, along with styling ideas. The mini wrap dress ($32.99) has flirty ruffle details, a waist tie, and is made of casual, lightweight rayon. There's also a black and white polka dot print. It's ideal for wearing with mules or slide sandals such as these. 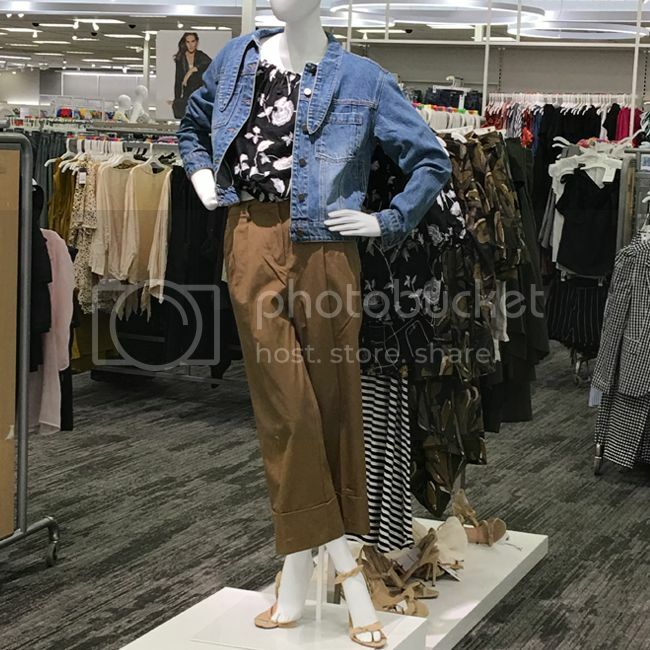 These wide leg crop trousers were featured in Aimee Song's "Aimee on a Budget" video, and they look much more expensive than their $32.99 price tag. They run true to size and are well tailored. They also come in olive green and would look amazing with this eyelet blouse and these polka dot heels from the collection. I've recently become obsessed with paper bag waists, so this belted paper bag skirt ($27.99) came home with me in black. It's perfect for tucking your favorite top into, and the crisp cotton fabric is flattering. The only downside is a lack of pockets. 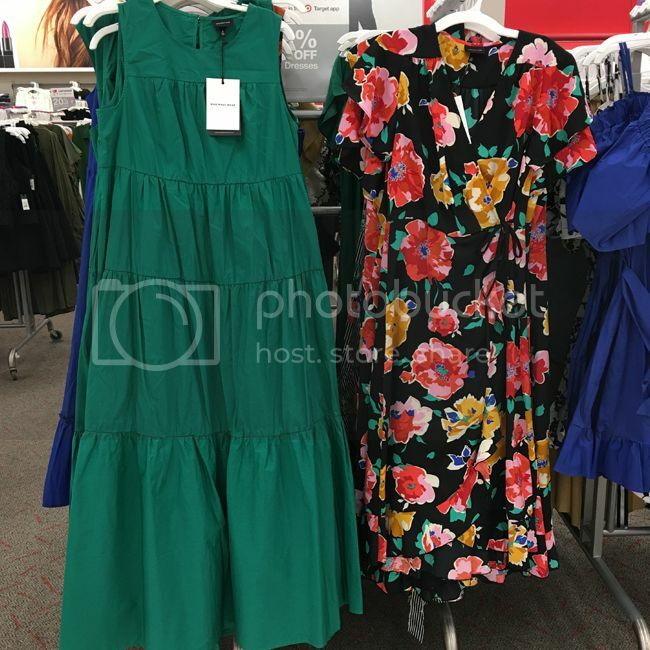 There are an array of dresses in the summer collection, and what I like about many of them is that they're made of cotton, making them look more expensive, but more importantly, they are breathable and comfortable in hot weather. The tiered maxi dress ($39.99) is made of cotton and also comes in bright blue. 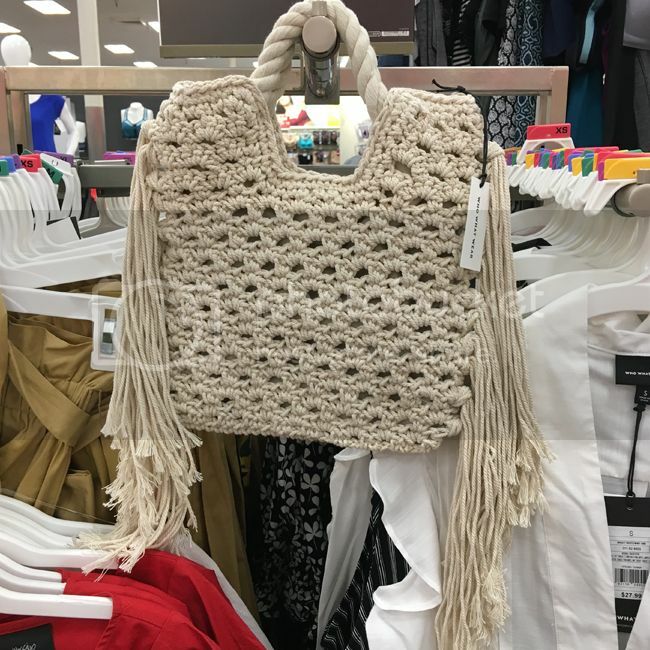 I'd wear it with a colorful woven belt and espadrille wedges. The flutter sleeve midi wrap dress on the right ($32.99) is a top pick. The cut is flattering on many body types, and it's easy to dress up or down depending on your footwear and accessories. It also comes in green and is made of a satin-y polyester. I bought it in floral and I plan to style it with black strappy sandals, white sneakers, or even studded ankle boots. The Thread crossbody bag ($27.99) is a nice neutral that goes with almost everything. The summery fabrication makes it a cute pick for casual weekends. 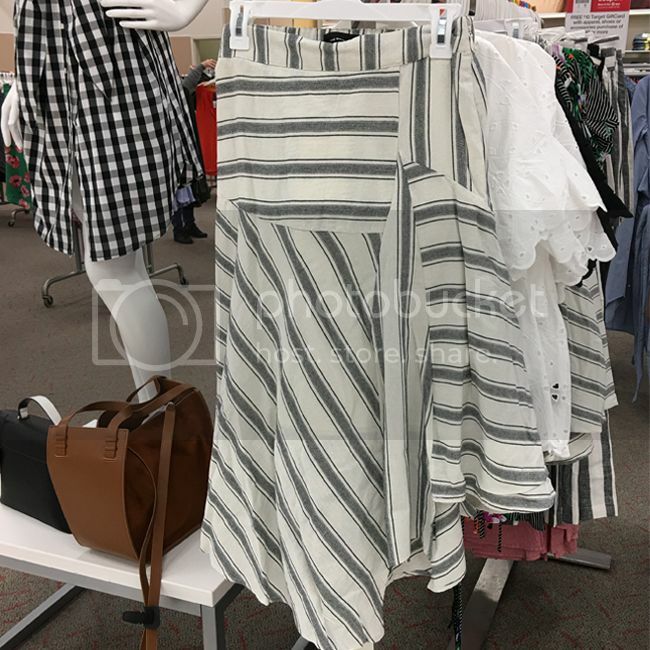 The striped asymmetrical midi skirt ($29.99) is trend-forward and office appropriate, and has a matching tie-front top ($27.99). Wear it with these bow accent heels ($37.99) from the collection for maximum impact. The belted Bardot mini dress pictured above and below ($32.99) runs slightly big. I'm wearing a small and it was loose around the shoulders. 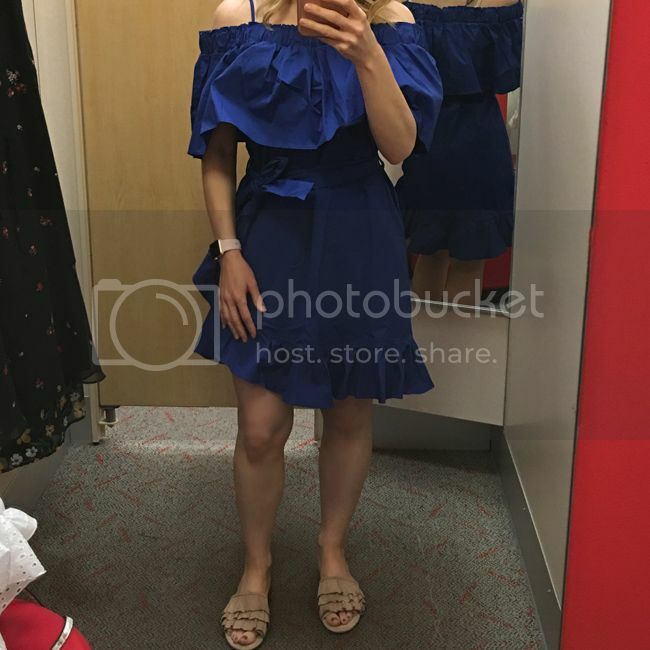 I adore the waist tie and fun ruffle hemline. It is made of crisp cotton with spandex and also comes in two floral prints. It's a nice option for a casual summer wedding or dinner date. 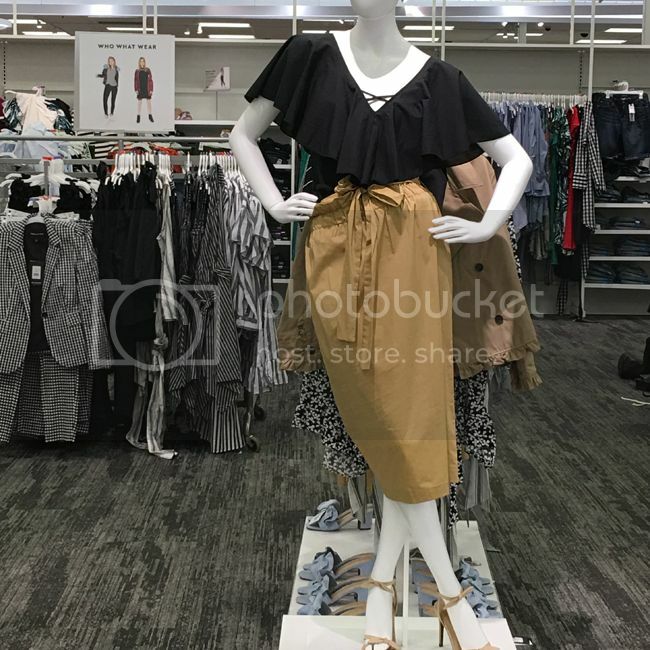 Shopping tip: some of these pieces may be on sale at your local Target. Selection and discounts vary by store. 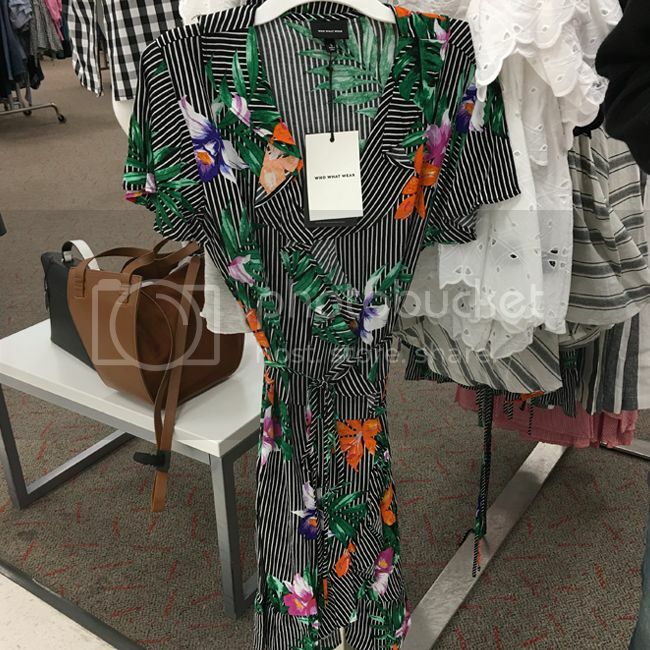 In search of sale scores, I always reserve some time to scour the sale racks and check the Target app for Cartwheel discounts. 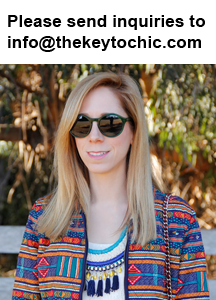 Keep up with my shopping finds on social media @thekeytochic.